Even though it's been snowing in April again, I'm still holding out for spring. I decided to bring back these sunflower cupcakes I made a whole seven years ago, and actually make a recipe for them this time. To create the petal shapes, you'll need a leaf tip like the one in this set to put in your piping bag. 2. Cream the butter and sugar together until smooth, followed by the eggs. Now whisk in the rest of the ingredient until just combined and fluffy. 3. Divide equally between twelve fairy cake cases, and bake for about 15 minutes, or until the cakes spring back when you poke them gently. Now cool completely on a wire rack. 4. To make the buttercream, whisk the butter in a large bowl until fluffy and pale, and gradually add the icing sugar with the salt, whisking bit by bit to avoid a snowstorm, until well combined. Divide into two smaller bowls and colour with your green and red food colouring. 4. To make the ladybirds, use a toothpick to paint the M&Ms with the melted chocolate. 5. 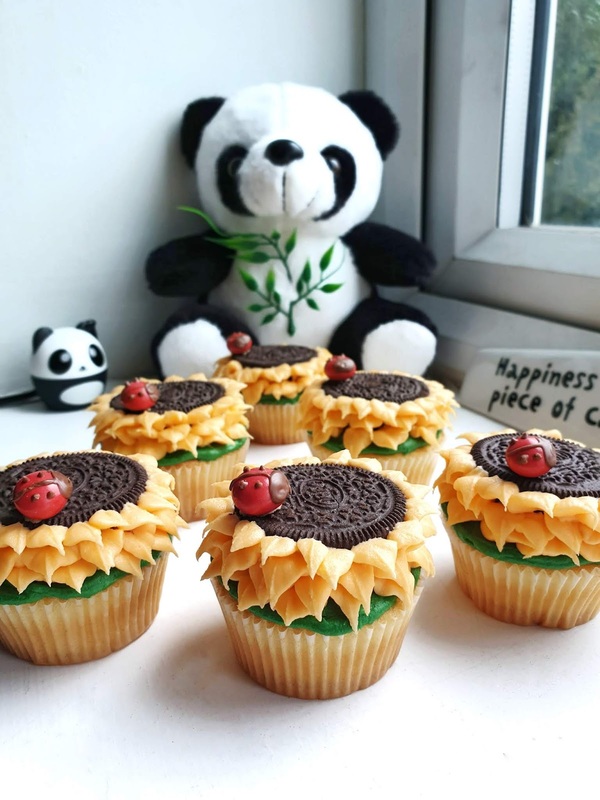 To decorate the cooled cupcakes, spread a little green buttercream on the top of each, and stick an Oreo in the middle of each. Fill a leaf nozzle-tipped piping bag with the yellow buttercream, and pipe around the Oreos, creating three layers of spikes as the petals. 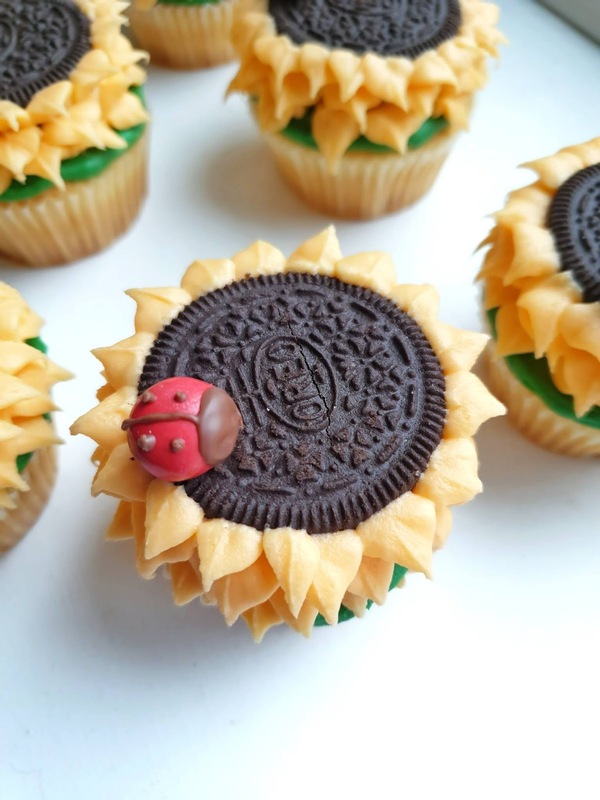 Finally, use a little leftover buttercream to stick your ladybirds on top.